Family-Friendly service event September 23rd! Fall back to Harvard by improving our city parks with other club members -- families welcome! The RMHUC welcomes alumni from all schools for this special volunteer event! 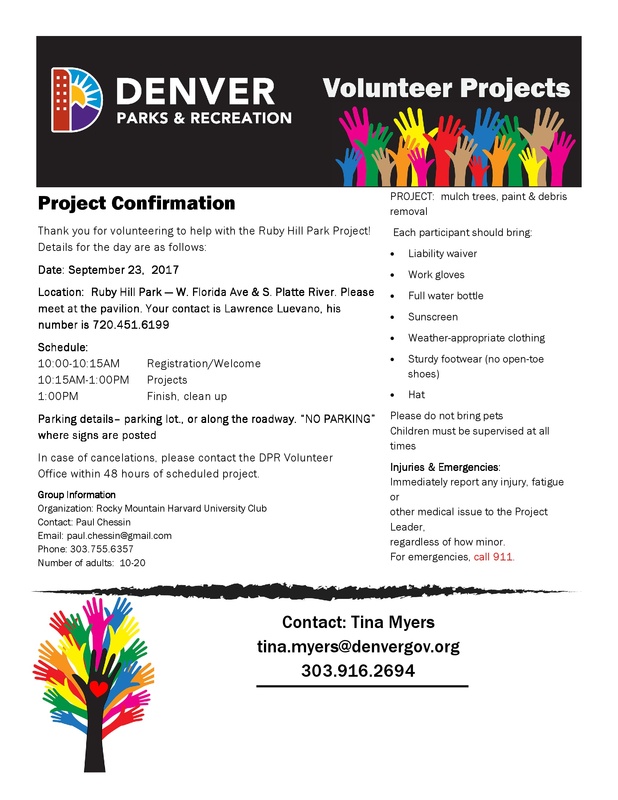 We will congregate on Saturday, September 23rd at Ruby Hill Park for a morning of parks improvement with Denver Parks and Recreation. Please RSVP at the link on the right before September 16th so that we are able to plan accordingly. See the information sheet below for details on parking, supplies, and inclement weather. If you have questions, please contact Paul Chessin at paul.chessin@post.harvard.edu. The last volunteer event with the city was excellent! There is plenty of work to do but also time to meet other alumni and their families. 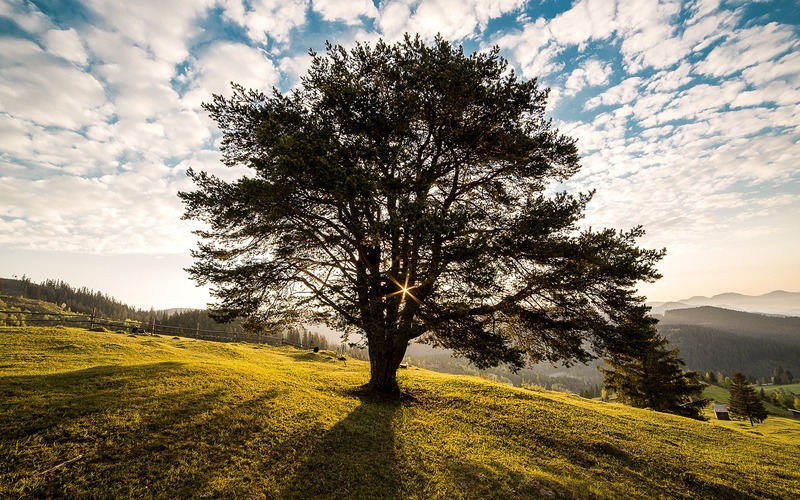 There is work for adults and children of all ages and abilities.